An array of Victorian painters left their mark upon the pages of history and Sir David Willkie is one of them. He was a Scottish painter in the Victorian age. Sir David Willkie painted upon royal facts, themes including the royalty and also self portraits. Sir David Willkie was born on 1785 and died in the year 1841, as he died on a vessel of Gibraltar he had to be buried at sea. Sir David Willkie came out of the cocoon and started something new through his paintings. His paintings indicated towards a new genre per se. He himself was from a well to do family and hence, received that support while learning painting. His dedication served his purpose to choose painting as his profession. 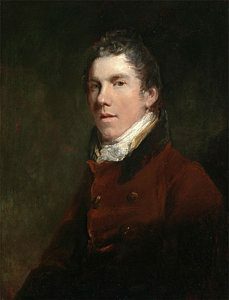 Sir David Willkie used vivid styles of painting as he used to travel a lot; he adopted many new techniques from each place he did visit. Sir David Willkie visited Paris, Belgium, Netherlands and made his sense of colours stronger and his strokes smoother. Sir David Willkie also visited Italy, Austria, Germany and Spain, but for a very different reason. He faced a havoc mental breakdown when he lost his brothers and his mother. To get rid of this immense and intense plight he travelled further. Sir David Willkie researched upon religious paintings and did draw historical paintings as well. In fact formal royal portraits and travel scenes were his forte. He mastered the art of drawing historical scenes and was especially known for that. Also, he retained his family legacy, as he belonged to a well to do background, he did retain that fame and name. Thought his pace of achievements was leap frogging, he too faced failure when he arranged for an exhibition of his paintings in the Pall Mall. This was important in his career but was not that successful in terms of financial gain. His career in the domain of painting had reached monumental heights when he was selected as the associate in the Royal academy. 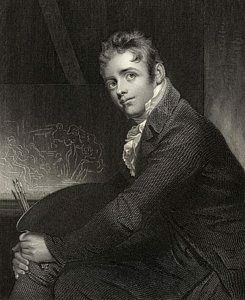 Most of his works are now preserved in the national gallery of London. Sir David Willkie was also a member of the Royal Scottish academy. Throughout his life he was a shining example of an artist who excelled in the art of painting portraits and other royal pictures. His shades and strokes upon the blank canvas were majestic and the contrast of hues he used was really something that gave a royal feel.